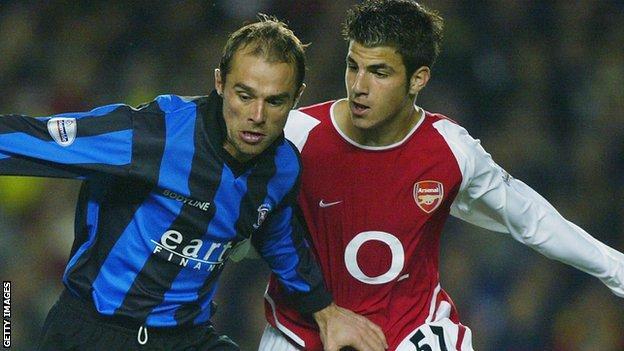 Fabregas described the move as "a new project", calling it a "great honour". "I'm here to help the team, I'm looking forward to starting. I am very excited," he added. 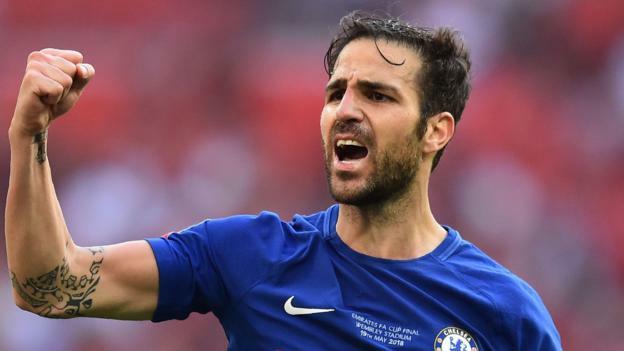 BBC Sport understands Monaco have not paid a fee for Fabregas but will pay 'bonuses' to Chelsea linked to his performances. Writing on social media, Fabregas later paid tribute to Chelsea and the club's fans. "It has been an incredible journey and it is with great sadness that I must say goodbye," he said. "I will miss you all and wish you the best of luck for the future." Former France and Arsenal striker Henry took charge of Monaco, where he started his playing career, in October - but they have only won twice under his stewardship and are one place off the bottom of Ligue 1 on 13 points from 18 games. 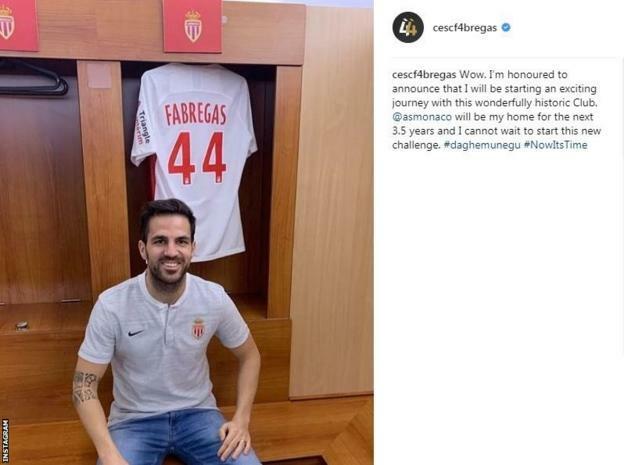 "We are very pleased to welcome Cesc Fabregas to AS Monaco, a world-class player and a great professional, whose arrival demonstrates the ambition of the club," said club vice-president Vadim Vasilyev. "We are convinced that his experience at the highest level will bring a lot to our players on and off the field."